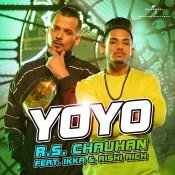 Universal Music are proud to present the eagerly anticipated brand new smash hit single released by RS Chauhan entitled “YoYo” featuring Ikka, music by Rishi Rich!! 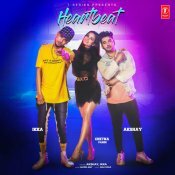 T-Series are proud to present the highly anticipated brand new single released by Akshay entitled “Heartbeat” featuring Ikka, music by Muzik Amy!! 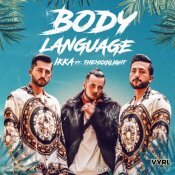 Universal Music are proud to present the eagerly anticipated brand new smash hit single released by Ikka entitled “Body Language” featuring the Indian twins THEMXXNLIGHT, music by The PropheC!! TIPS Music are proud to present the highly anticipated brand new single released by Neha Kakkar entitled “Chamma Chamma” featuring Romi, Arun & Ikka, music by Tanishk Bagchi! Taken from the upcoming Bollywood movie “Fraud Saiyaan” scheduled to release 18th January 2019!! T-Series are proud to present the eagerly anticipated brand new hit single released by Guru Randhawa entitled “Tere Te” featuring Ikka, music by Vee!! ARE YOU Ikka? Contact us to get a featured artist profile page.